The Democratic People's Republic of Korea (DPRK) remains one of the most isolated and secretive nations in the world, despite ongoing international negotiations aimed at easing tensions on the Korean peninsula. Since its formation in 1948, the country has been led by the Kim dynasty, a three-generation lineage descended from the country's first leader, Kim Il-sung followed by Kim Jong-il and grandson and current leader Kim Jong-un. Although major hostilities ceased with the signing of the Armistice in 1953, the two Koreas remain technically at war and the Demilitarized Zone (DMZ) along the two countries’ border continues to be the most fortified border in the world. Children gesture and shout at the instruction of a teacher at Gyongsang Kindergarten on Aug. 23, 2018 in Pyongyang, North Korea. 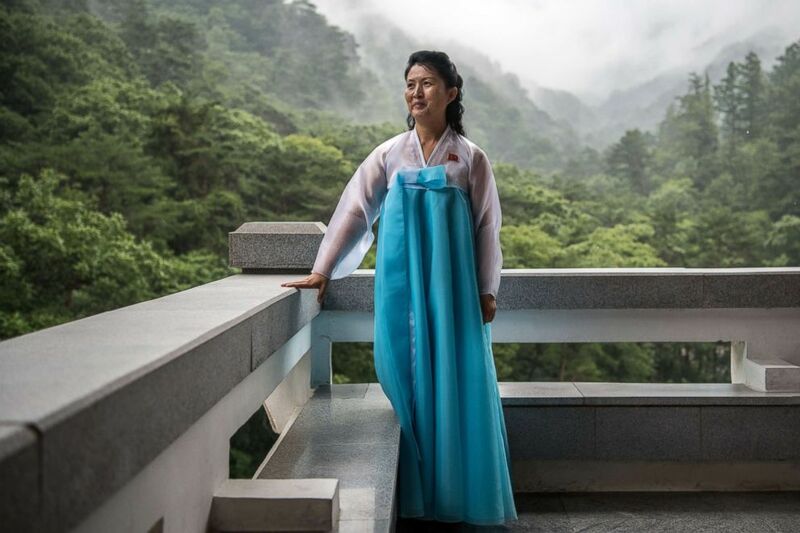 Carl Court, a Getty Images photographer currently based in Tokyo, is one of a handful of foreign journalists to visit and document life in the 'Hermit Kingdom.’ Court recently spent several weeks traveling throughout the country, visiting cities including Pyongyang, North Korea’s capitol and its most populated city. 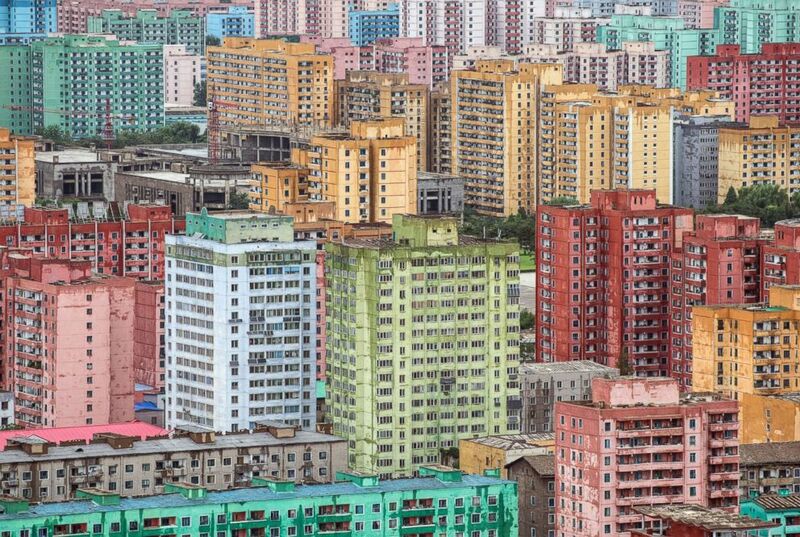 Apartment blocks are pictured from the viewing platform of the Juche Tower on Aug. 24, 2018 in Pyongyang, North Korea. Court also visited the industrial city of Kaesong, as well as the port city and naval base of Wonsan. He also traveled to Myohyangsan, a mountain in North Korea that is considered a sacred site and is home to the Pohyon Temple, a popular tourist destination. 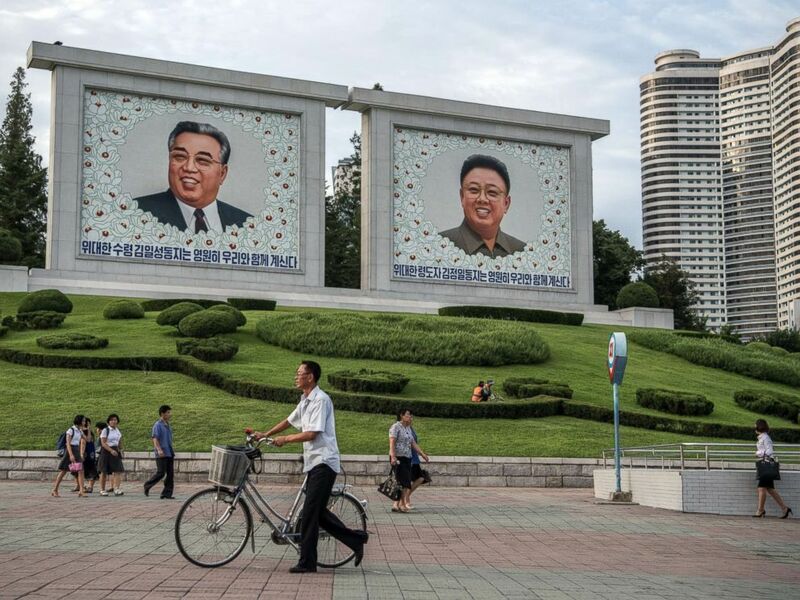 People walk past pictures of Kim Il-sung and Kim Jong-il on Aug. 18, 2018 in Pyongyang, North Korea. 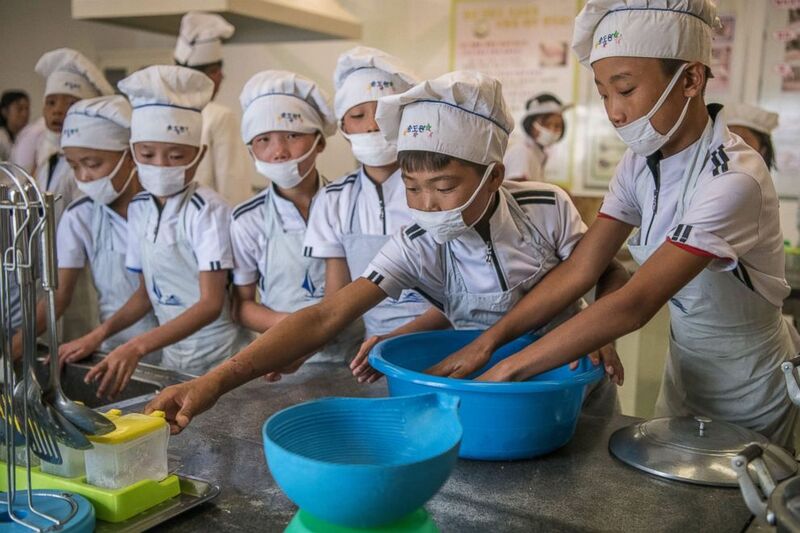 Children take part in a cookery lesson at Songdowon International School Children's Camp on Aug. 22, 2018 in Wonsan, North Korea. North Korea is typically closed to foreign media, with the exception of mass rallies; only government photographers are allowed access to news events. Court was allowed access to the country only after a lengthy process in which he had to explain why he wanted to visit and what he wanted to photograph. He also had to provide an itinerary and numerous other documents to support his request. 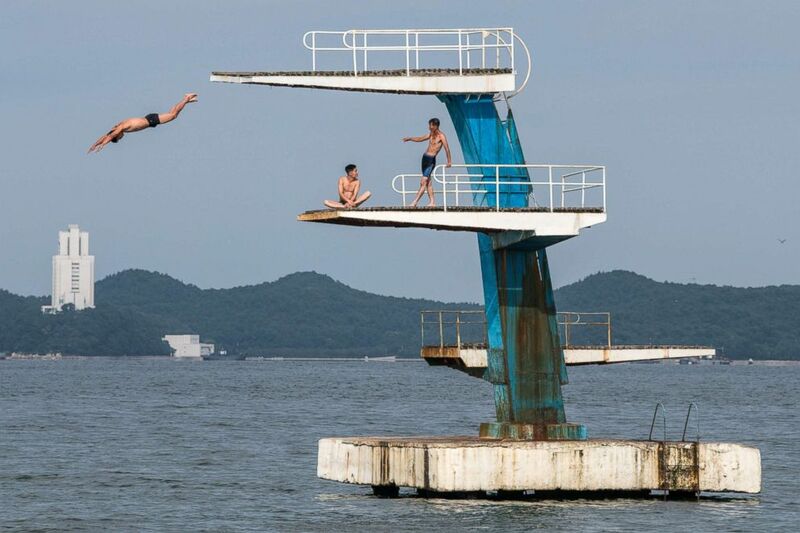 A man dives into the sea from a platform on Aug. 22, 2018 in Wonsan, North Korea. 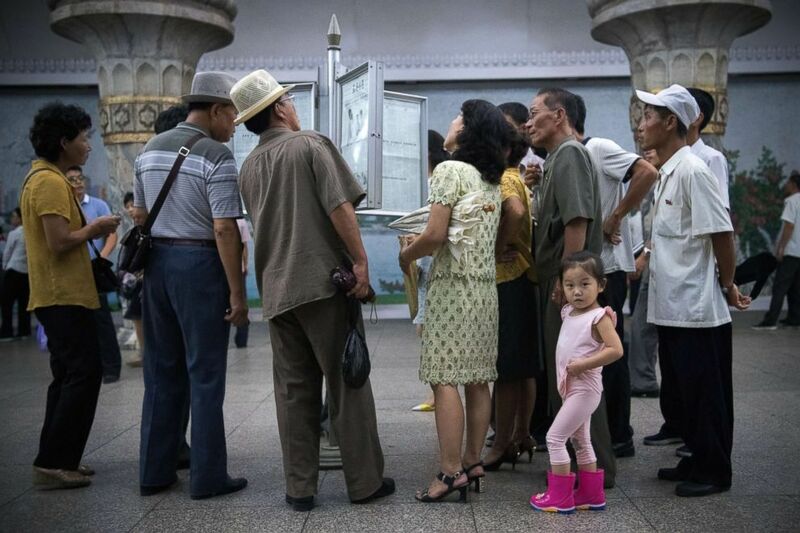 A little girl looks back away as people read a newspaper displayed in a station on the Pyongyang metro on Aug. 21, 2018 in Pyongyang, North Korea. 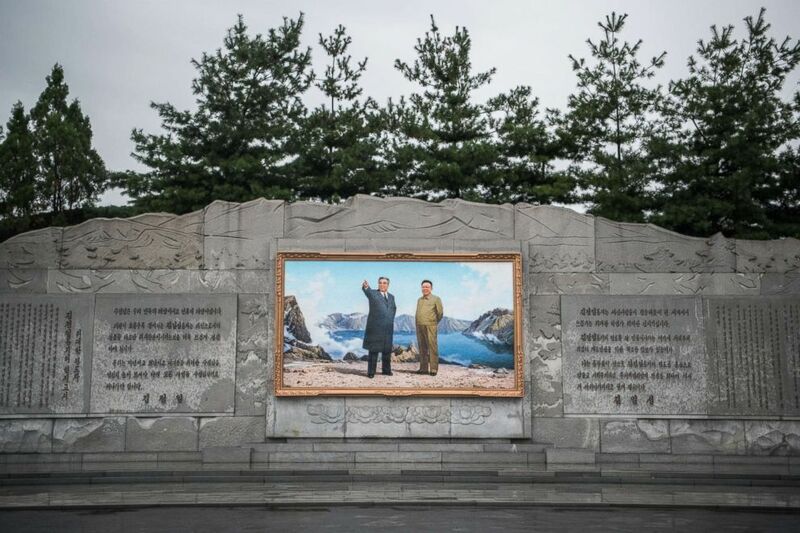 A picture of Kim Il-sung and Kim Jong-il is displayed at the entrance to Mansudae Art Studio on Aug. 23, 2018 in Pyongyang, North Korea. Still, Court’s images provide a revealing glimpse into the fascinating banalities of daily life in Kim Jong-un’s North Korea. From school teachers with students, to factory workers at their machines and even people frequenting a water park in Pyongyang, these everyday places and events are interesting in that they show how North Koreans project their own identity. Yet, his photos also manage to capture the candid, more unpredictable moments among the regime’s carefully controlled display of uniformity and routine. 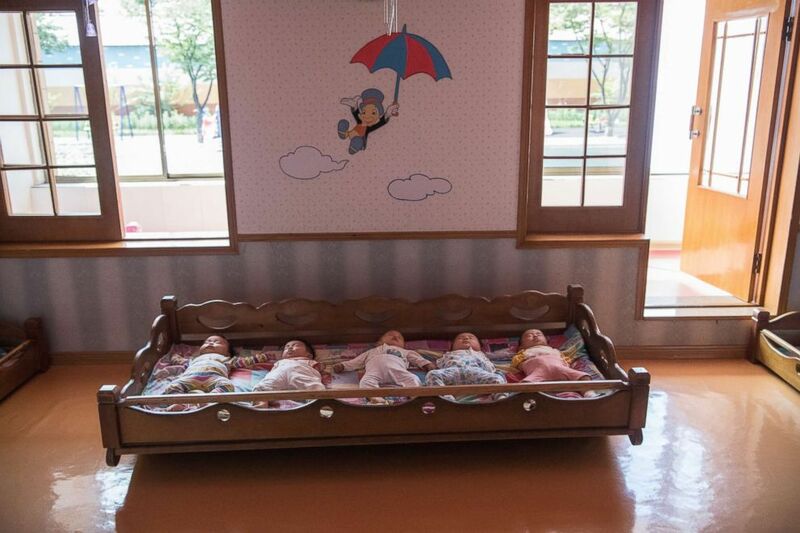 Employee's babies sleep in the nursery at the Kim Jong Suk Silk Factory on Aug. 21, 2018 in Pyongyang, North Korea. A guide poses for a photograph on the balcony of the International Friendship Exhibition centre on Aug. 20, 2018 in Myohyang, North Korea. Many of Court’s images depict young children in a school or camp setting, such as Songdownon, often engaging in performing arts or athletic activities, such as dance or swimming. There appears to be an emphasis in the DPRK on athleticism and recreation. In much of Court’s photography people participate in leisure time, albeit regulated, portraying a sense of normalcy and modernization in North Korean daily life. 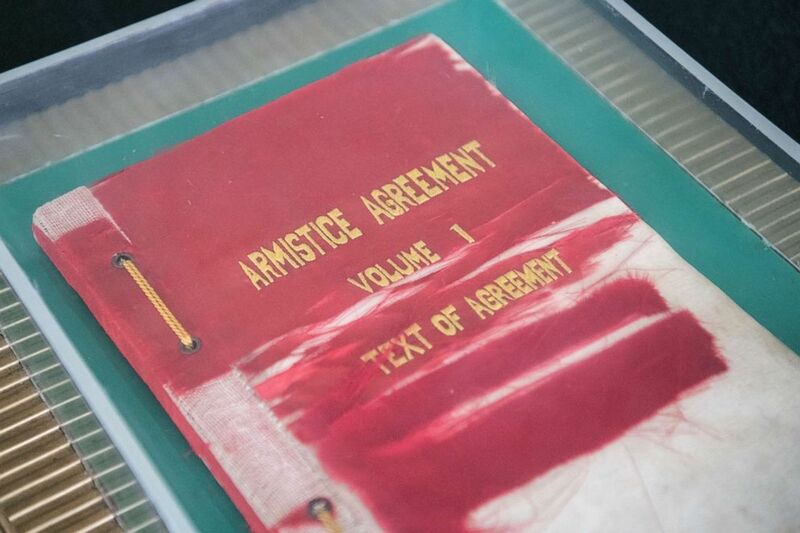 The original English copy of the armistice agreement that halted the Korean War is displayed on the North Korean side of the Demilitarised Zone (DMZ) on Aug. 24, 2018 in Kaesong, North Korea. 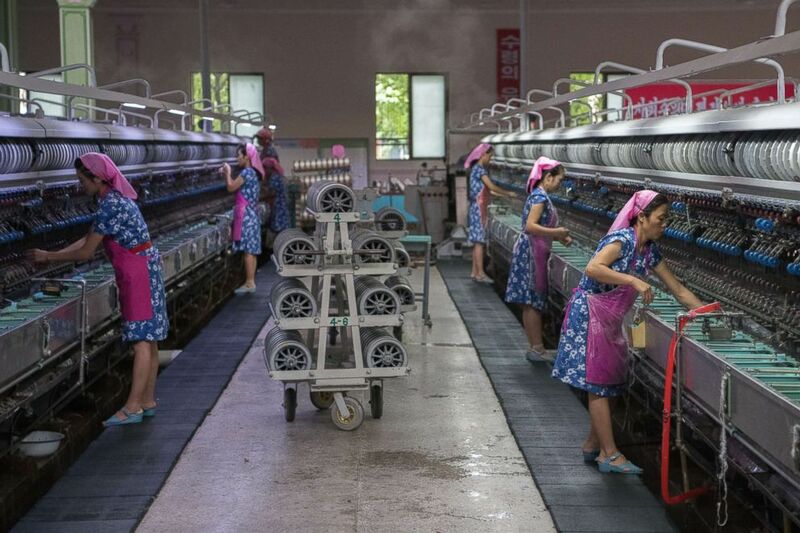 Women work in the Kim Jong Suk Silk Factory on Aug. 21, 2018 in Pyongyang, North Korea. 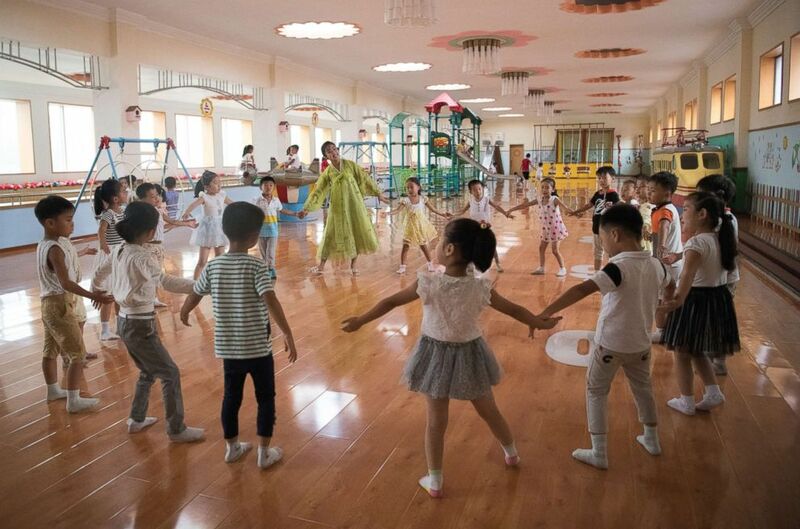 A teacher leads children in a play session at Gyongsang Kindergarten on Aug. 23, 2018 in Pyongyang, North Korea. 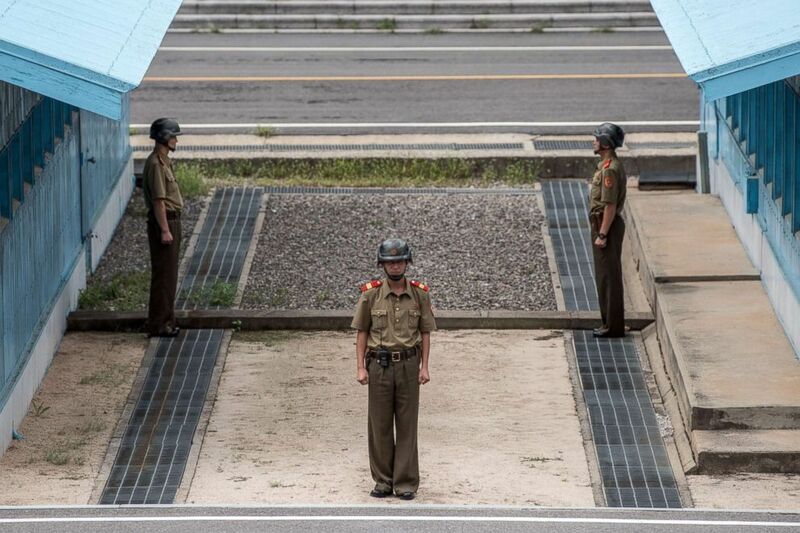 North Korean soldiers stand guard on the North Korean side of the Joint Security Area in the Demilitarised Zone (DMZ) on Aug. 24, 2018 in Kaesong, North Korea. Despite its rigid appearance, the DPRK is no doubt a layered, complicated place with hidden elements buried in its daily reality. As westerners, many of us hold preconceptions of the country, shaped by the dominant tropes of military parades and communist politics. However, as we see more images like Court’s, we might notice the country revealing facets of itself that are unexpected, especially in its people. 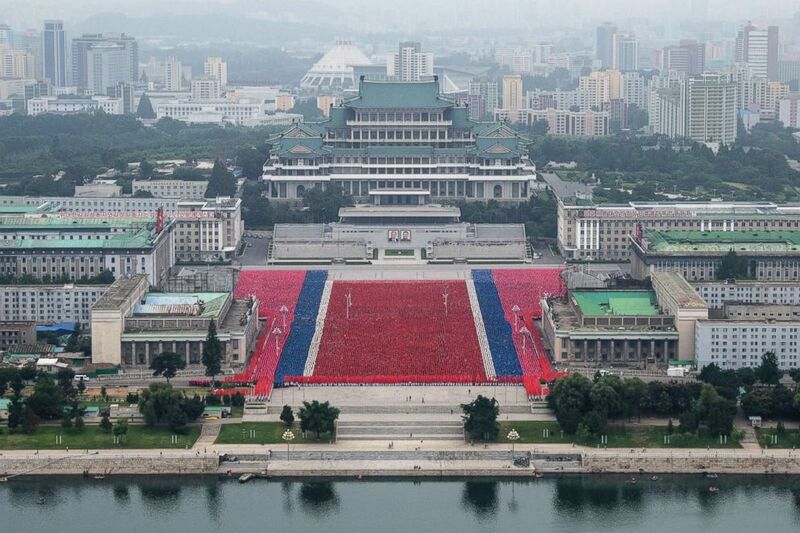 Rehearsals for celebrations marking the 70th anniversary of the founding of North Korea are undertaken in Kim Il-sung Square on Aug. 19, 2018 in Pyongyang, North Korea.